« What’s the weirdest thing you’ve ever eaten? Kottke is the rightful heir of my musical hero John Fahey, but Kottke was able to achieve the commercial success that always eluded Fahey—due partly to his fondness for drink. In terms of musical genius, I’d put Fahey above Kottke, but it’s largely apples and oranges. This entry was written by whyevolutionistrue and posted on September 24, 2017 at 3:30 pm and filed under music. Bookmark the permalink. Follow any comments here with the RSS feed for this post. Both comments and trackbacks are currently closed. Most people still think Leo Kottke is a Jewish holiday. Lag BaOmer is my favorite musician, and Tubisvhat is, in my opinion, the best Turkish progressive rock band around. According to Wikipedia, this is what Kottke said about his own voice. In my opinion, his best record. I remember seeing John Fahey one night in Madison sometime around 1970. He was brilliant although, true to reputation, completely sauced. Someone in the audience shouted for him to play a song (I don’t remember which song). His response: “You play it”. But, I do like Kottke a lot, too. Also look for his duets with Michael Hedges. Anything with (the late, great) Michael Hedges. Sorely missed. I dream of having my singing compared to a goose fart. I saw Kottke in a small theatre venue (Auckland city) early 70’s, all i can remember is the theatre being filled with his guitar, can’t even remember the voice. Don’t know how I’d never heard of Kottke. Love his voice, gander flatulent or not. Do know Fahey. 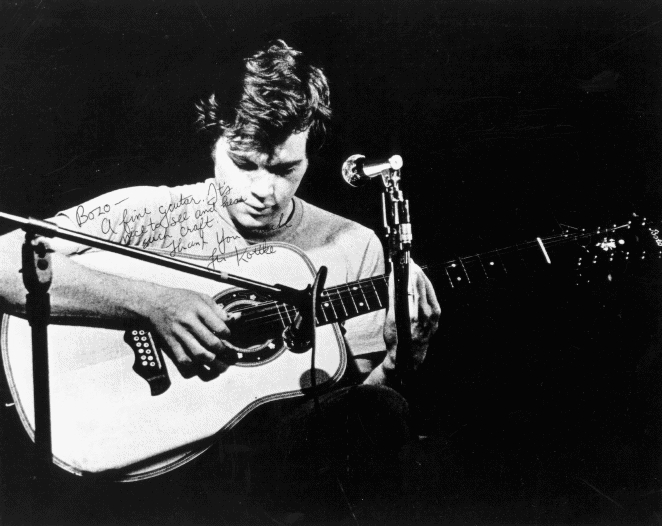 I absolutely love Leo Kottke. He’s one of my favorite musicians of all time. He’s also wonderfully amiable and absurdly funny in conversation and when speaking to an audience. I’m also a big fan of his voice. Also, I believe Kottke called Little Martha the greatest guitar song ever. It’s typically played in either Open D or Open E tuning, which makes greatness (at least from a performance standpoint) a little hard to claim. But, of course, à chacun son goût. I don’t think he meant the hardest to play, just the most beautiful to him. Certainly there are many more difficult pieces. Two songs I love by Steve Howe that are very hard to play (and both solo efforts on two great Yes albums) are The Clap and Mood for a Day. Not the most difficult pieces ever, but gorgeous, beautifully composed, and played by Howe with precision. Not super hard (obviously, since I could play it) but very “guitarish” – it utilizes the attributes of the guitar (as an instrumnet) in very clever ways. Yeah, certainly not the hardest thing, but he plays it beautifully (and boy am I impressed that you could. Too bad you’re not still capable, as I would have loved to see a video). I imagine The Clap is a bit harder, though I don’t know enough about guitar on that level to be sure of such a thing. What, in your opinion, are some of the most difficult compositions for guitar? If you love complex acoustic, check out Adrian Legg. Some songs you might enjoy are Midwest Sunday (watch a live video of that one, as he pulls some really cool tricks), Chicken Little’s Last Ride, and More Fun in the Swamp for some rocking electric. I really like Adrian Legg. When he broke onto the US scene, he did a long series of travelogues on NPR as he went around the US – very funny and insightful. He is a master. Amazing sense of timing. And the stuff he does with the banjo tuners during his pieces is pretty amazing. Great player. Another UK player I really love is Laurence Juber (formerly McCartney’s lead player in Wings). I will try to link to one of his pieces I like best: Little Wing. He also does superb interpretations of the Beatles tunes. Peter Finger also does some amazingly difficult stuff. Steve Howe is one of my guitar heroes. I highly recommend his live record Not Necessarily Acoustic. Clap is really hard, for sure, I’ve never tried to play it. Mood isn’t so hard; but Howe brings amazing feeling to it. In later years, he pulls a lot more out of it than his did on the original recording for Fragile. here’s another favorite, if not super-hard: (Andrew York playing his composition Sunburst. It is in drop-D tuning. I play this arrangement of Satie’s Gymnopedie No. 1. (This is NOT me playing!) Deceptively simple, it’s damned hard to play well. Here’s the only decent vid I have of me playing (not very well) – I tend to mess up when being videoed or recorded! I did this on kind of short notice when I heard that Greg Lake had died in Dec. 2016. Greg Lake’s song: From the Beginning (recorded on the ELP album, Trilogy). I made the guitar I’m playing in the video. Thanks SO much for this. I’ll have to check some of these out. I saw Adrian Legg in a bar holding maybe 40 people in New York state about fifteen years ago. He does that tuner thing with an acoustic guitar as well. He was marvelous and really seemed to relish the opportunity to interact with an audience, sitting only two feet above and five feet away from them. It was more like he had a conversation with us while he played some songs. Wow, you’ve a great guitar player. And when I heard the two opening harmonics, I thought it was going to be Roundabout (which I thought a strange tribute to Greg Lake). BJ: Those funny-looking tuners on his acoustic guitars are banjo tuners. They allow him easier access (easier to grab while playing) and they have a lower gear ratio, so he can retune the string with a small-angle twist. It’s truly amazing what he can do with those — and in the service of artful music, not (only) as a stunt/gimmick. Banjo tuners (planetary gears) are usually around 4:1 gear ratio. Guitar tuners are usually 14:1 or 16:1. What’s the difference between a banjo and Harley Davidson motorcycle? A: You can tune a Harley! Yes! Very complicated and well-synchronized music there from Phish! Very nice! The Los Angeles Guitar Quartet do a stunt performance where they sit with their backs to each other and each one plays just two consecutive notes (then the next guy plays the next two, etc.) in a complex Bach piece. Amazing stuff; perfect timing. Can’t find a vid of this however. Man, I wish I had learned music theory when I was young and knew all the wonderful things you do. Are you a fan of Phish at all? If not, don’t worry, as I’m not one of those Phish fans who will talk your ear off, try to get you into them, and tell you how much you need them in your life. But if you’re interested, I’m always happy to recommend some. I am actually not a fan of Dead/Phish genre. It wanders too much for me. I like a few songs (especially from the Dead) but overall, not so much. I don;t know the Phish music very well; but a few friends like it and have recommended it. I bought one CD but didn’t care for it very much. Jam songs have never really done that much for me — even live (though that’s much better). Long rock jams included. I am, at heart, a folkie, I guess. All kinds of folk music: Straight folk (anglophone), flamenco, blues and its child – rock, many other world folk traditions, slack-key guitar. The fingerstyle genre mostly comes out of the folk+blues tradition, with some additions from jazz and classical (and other places). I never played a musical instrument until I was 36 years old, never touched one. But then, I bored in pretty hard. When I was about 21, I heard Will Ackerman’s record It Takes a Year (a very mellow fingerstyle record — sort of the ur-version of a “Windham Hill” record; but just solo guitar, no strings or wind instruments) and decided that same day I would play a guitar like that. It took a while! I don’t know very much theory, really. I understand the (western system) keys, chord structure, circle of fifths, a few other patterns in western music. Just enough to arrange and play pieces for guitar. Arranging has been very helpful in understanding music better and playing better and making better use of the guitar’s unique strengths. that should be “some day” not “same day” though I did decide it right on the spot. Great stuff, and nostalgic as well, as my wife and I had “Little Martha” played at our wedding. Not by Kottke, though. Great find on the video. Leo playing his quirky, quackey lamentably stolen Gibson B-45-12 that figured so prominently on the Armadillo album (6 and 12 String Guitar). I’ve been fortunate to see Kottke over 20 times in concert: A superlative guitarist and even better storyteller whose fretboard pyrotechnics have slowed down of late (but who among us hasn’t), yet still puts on a great show. Catch him while you can. (Same one shown on the back of 6 and 12 string guitar) was built by Bozo Podunavac. He was well-known for his excellent 12-strings. He seems to be a competent guitar player, though I’d have to agree to the, “geese farts..” criticism of his singing. Kottke is not my favorite fingerstyle player; but he’s well beyond the description: “competent”! Haha that’s one of those true statements that’s practically false just by its implications! And you know a guitarist is truly special when Chet Atkins and Doc Watkins loved playing with him. Kottke once flushed Michael Gulezian’s finger-picks down a toilet – that makes him worth adding to your list even if he wasn’t any good. Chris Proctor as well is worth a listen. I’m guessing by “Mim” McGuinn, you meant “Jim,” better known as “Roger”? Thanks for the Kottke version of “Eight Miles High”. I had not heard it. You are the only person I know who knows John Fahey’s music. I bought a couple of his albums in the late 60s, which I still have (though nothing to play the records on). Some of his music is on YouTube. I’m glad to see he has gotten some recognition.